Practice makes perfect...sense, when a new student practices on a Blacksmith Buddy or Buddy Junior. Even an experienced vet or farrier can benefit from experimenting with a trimming or shoeing technique or even a crack repair using a plastic hoof before trying it on a living horse. 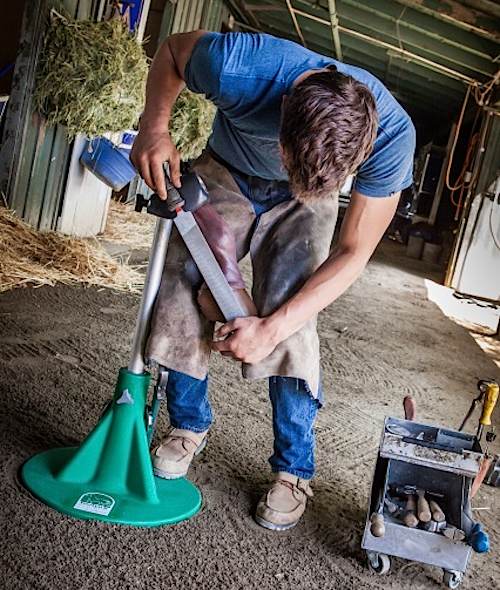 The lightweight new Buddy Junior fits on a standard Hoof Jack and is portable for travel. There’s a new kid in town. Kind of a little guy, but he fits right in. He hangs out with one of the most popular pillars of the hoofcare world, and the two of them work together like a couple of old pros. He’s a chip off the block, a new age version of his old man, The Original. 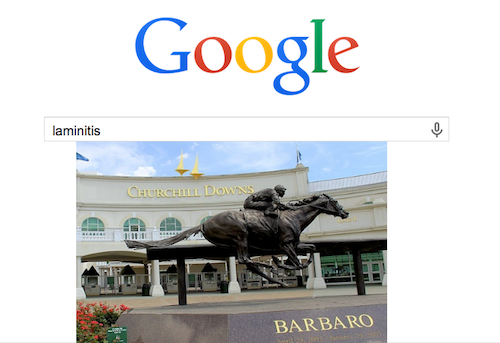 A racehorse named Barbaro won the Kentucky Derby in 2006. He fractured his right hind leg in the Preakness, two weeks later, and suffered from laminitis during his complex recovery from surgery to repair the limb that summer. The world watched him struggle to recover. Eight months after his injury, he was euthanized. Laminitis was given as the reason for ending his life. The world--not just the horse world--was stunned that his life couldn't be saved. What was this disease, they wanted to know? Barbaro showed them what it was, in the most tragic possible way. 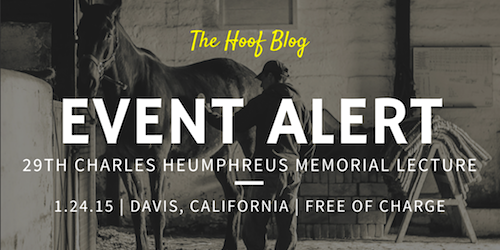 His name became synonymous with laminitis awareness and research. And Google has proof of that. Barbaro died on January 29, 2007. Where were you, eight years ago today? More importantly, where was your awareness and knowledge of the disease of laminitis? And where are you--and your laminitis awareness and knowledge--now? Like a scene from Black Beauty, a horse goes down in the shafts of a delivery wagon on a Boston street, sometime between 1917 and 1934. From the Boston Public Library, Leslie Jones Collection. A blizzard hit the Northeast Corridor of the United States today. For the next few days, we might be hunkered down, with or without power and wifi. But no matter how bad it is, we'll be back on the highways in a few days at most. FedEx will deliver. The airlines will fly. The supermarkets will re-stock their shelves. But it wasn't always that way. 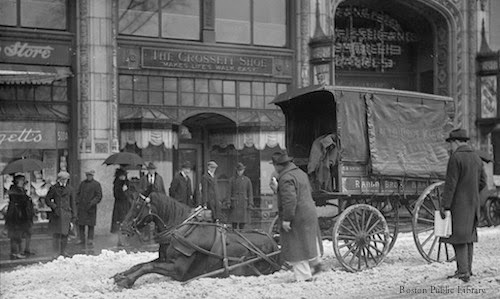 Winter was a different story 100 years ago, when horses had to travel the streets of cities and towns in order for the mail to move, or trains to be unloaded, or even for the roads to be plowed. First and foremost, horses had to stay on their feet. And many days, that was no easy feat. I don't know about you, but I'm still snowbound. Cable service returned just in time for me to catch the new Budweiser Clydesdales Super Bowl commercial (a.k.a. "Lost Dog") on The Today Show this morning. And here it is, along with a behind-the-scenes reel, thanks to Budweiser, to share with you. I wonder what people will think of this one. Who hasn't had a cat shut in a trailer? But should that side escape door pop open when the pickup slams on its brakes? That's trailer safety 101 and sure to elicit the biggest shudder from horse people since the hitch gelding cantering on pavement in the first ad. That's the ratio for Sunday's Prix d'Amerique trotting race in Vincennes, France. The purse is worth $1.15 Million (US). It's the world's richest harness race. You'd take your shoes off, too, for that kind of prize money. This is not just another horse race. It is a 1 11/16 mid-winter downhill then uphill push to the limits for the world's hardiest Standardbreds. These are the strongest, fastest two-beat trots you'll see anywhere in the world. But minutes before the race starts tomorrow, the shoe pullers will come out and dozens of shoes will be left behind. Fans of the Budweiser Clydesdale Super Bowl commercials could celebrate a small step forward this afternoon as the St. Louis brewery released probably about nine seconds of the upcoming one-minute commercial for next weekend's actual ad. Barefoot Research: What Are the Consequences of Shoe Removal for Trotting Racehorses? Special thanks to researcher Claire Moiroud and Professor Jean-Marie Denoix, who kindly arranged to share this research project with Hoofcare Publishing. This text is an approved, verbatim translation of a French document and is published to coincide with the excitement of the Prix d’Amerique, one of the world’s great trotting races, at Vincennes, France on Sunday, January 25. That race has been won by horses using the methods described in this article. In French harness racing, it is customary for the trainer to remove the shoes of some horses before races. "Relieve the foot, increase the speed"...that is the goal. Perhaps the immediate benefits seem obvious, but no study has addressed the risks to the horse itself in terms of possible discomfort and especially the risk of excess wear to the feet. That has now been accomplished through the work of the CIRALE-ENVA Hippolia team in Normandy, France. 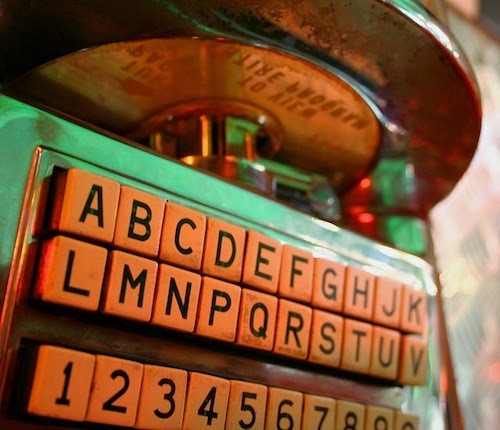 The blog is a jukebox today. But don't worry, you'll never run out of quarters. Sometimes, you just get inspired. A new song by a band I'd never heard of in England showed up and I decided to play the video. And then I asked a few questions. And here comes this story. The story is about a song and the people who wrote, inspired and perform it. But it pushed me to do something I've wanted to do, and share with you, for years. 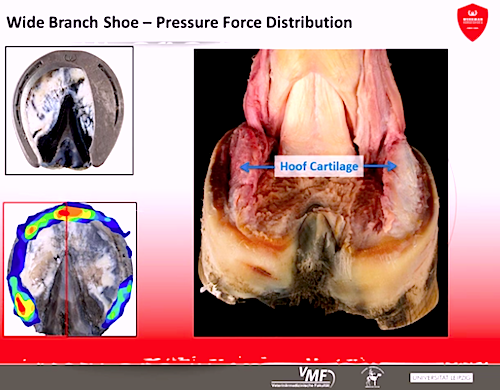 In this still image from Dr. Hagen's video, you see the wide branch shoe used in the biomechanical testing (top left) and the results of the pressure mat testing (bottom left). Top right shows the gross anatomy of the horse's foot with the ungual cartilages exposed. The Hoof Blog is pleased to share with you some additional media from the research of Dr. Jenny Hagen at the University of Leipzig in Germany. Today we share the biomechanics of the "wide-branch" (asymmetric) shoe, and the "open toe" shoe. 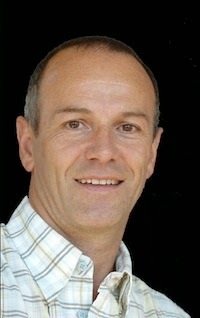 Dr. Hagen's research is sponsored by Werkman Horseshoes of The Netherlands. This video picks up from the previous videos from Dr. Hagen and Werkman (biomechanics of egg bar, heart bar and wide toe shoes) posted in October. And don't forget to pick up a big box of tissues. Tissues? You're going need them. And not to mop up the spilled dip. You've read this spoiler, it's too late: once the Budweiser Clydesdales' "Lost Dog" Super Bowl commercial hits the screen, there won't be a dry eye in the Man Cave. Video U: Watch the UMaine Conference "The Science Behind the FEI White Paper on Equine Arena Surfaces"
On December 7, 2014, a very special seminar took place at the University of Maine at Orono's Witter Farm. You'll wish you had been there. The conference was titled, "For Veterinarians and Farriers - The Science Behind the FEI White Paper on Equine Arena Surfaces." But maybe it's not too late: we can bring the conference to you. 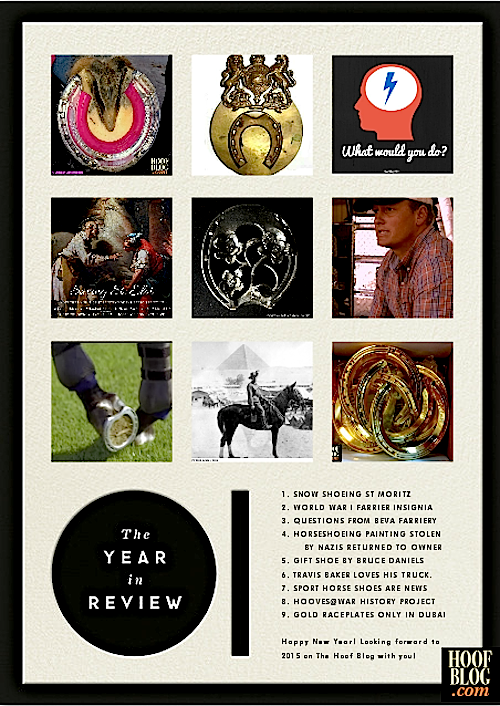 Last week, you read about the Hoof Blog's favorite stories based on numbers. Now, we’ll dissect the blog for you to highlight some stories you might like to bookmark or share, or maybe read for the first time, if you missed them. Think of this as an index for future reference. You can refer back to it to find stories. Interspersed are some favorite images from the year, which may or may not relate to the text. 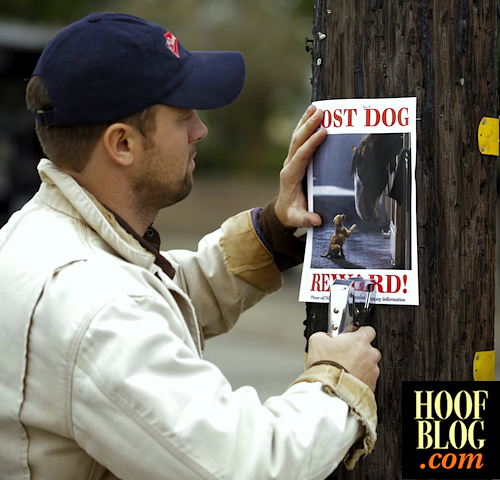 At the end are some beyond-the-Hoof Blog media files that you can bookmark, download and (hopefully) share. Some people watch parades and football games on New Year's Day. Not me, I want to crunch the numbers and see what stories resonated with readers over the year. Today I found that there are definite trends in what brings large numbers of people to this blog, and that the way people read the blog has definitely evolved. Flash and Casey are right up there with Secretariat and Barbaro. Little Dixie, Chief, and Midnight are not far behind. 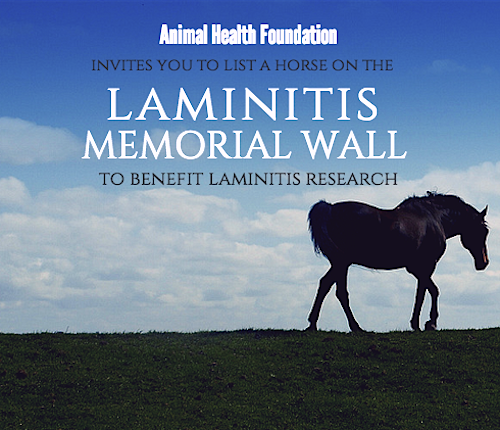 The Animal Health Foundation (AHF), a US charity dedicated exclusively to funding laminitis research, has set a new goal: to make sure that no horse with laminitis is ever forgotten. 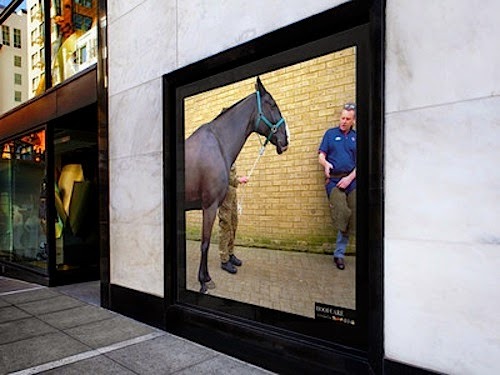 Thanks to a new website page just for them, the most famous racehorse and the most unknown pony will share their own special place on the web and in search engine results, in memory of their struggle with the painful disease of laminitis.